When I got up at 4:45 AM to catch an early morning flight to SFO to spend 3 days engaging with the freshest crop of startups, I was pondering why I was so drawn to them. Was it the fascination with the new, the constant innovation, the ‘anything goes’ attitude, the unstoppable flow of borderline naive optimism? 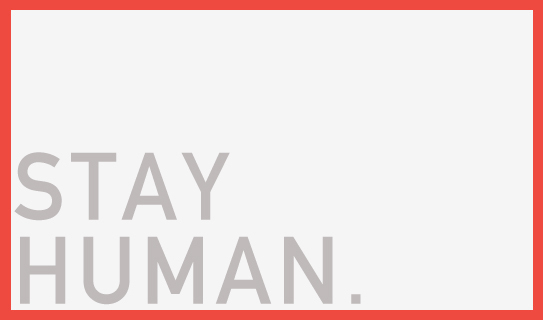 Yes, of course, all of the above is why we are all interested in startups, but the real reason why I dedicated the majority of my professional life to working with Founders comes down to something much more basic: Startups are human. I always look forward to engaging with Founders and their teams, because they are real. No politics, no fear, no artificial hierarchies, yet all the struggles, even more than we see in the corporate world. Here we have human beings that are not aspiring to move their lifestyle from a BMW 5-Series to a 7-Series, but pushing an app that will benefit mankind from a 1.0 to a 2.0 release. The beauty of purely human business interactions is lost in the vast majority of large companies I worked with over my career. I only get to feel them at the local Farmers Market and in the startup community. Not knowing is a virtue, learning a given, sharing a must. As startup Founders gain success, I urge you, do not lose the magic you possess, the magic you enjoy so much while being amongst yourselves, that magic of not only being human, but acting human.